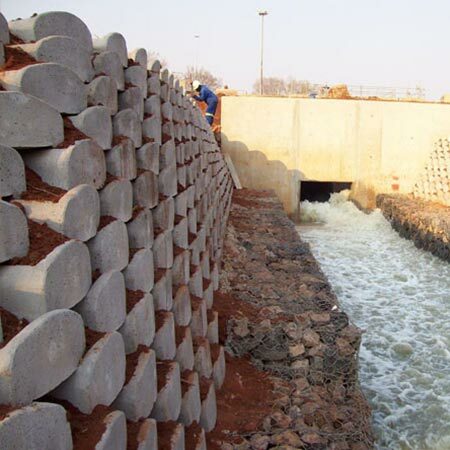 An innovative design, ReMblok 30, not only provides much safer and more durable concrete retaining block walling, but is also cost-competitive, with a minimum product cost saving of between 35% for a double skin (700mm deep) wall, and 52% for a full triple skin (1050mm deep) wall. 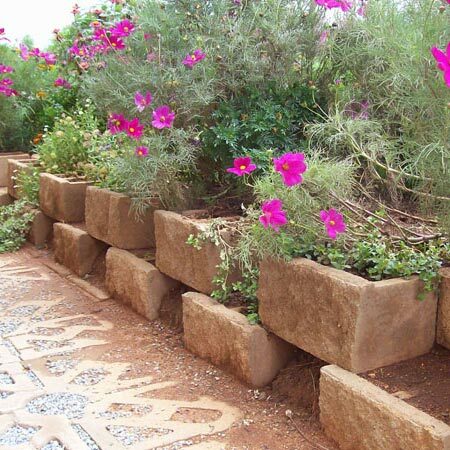 RemRock 220 is suitable for garden and non-structural landscaping. 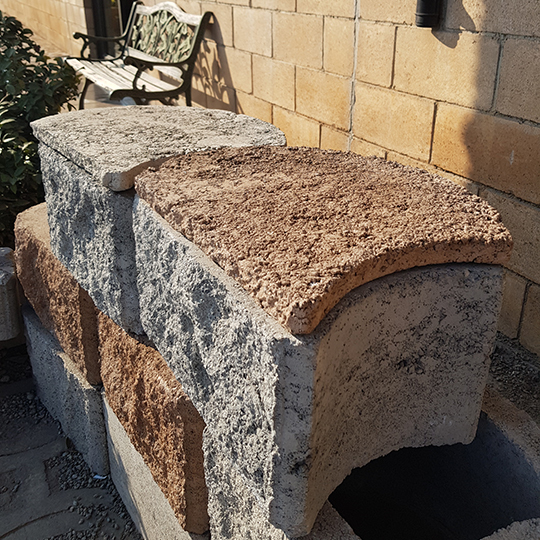 The newest product is a standard “rock face” texture in a natural “sand” colour. 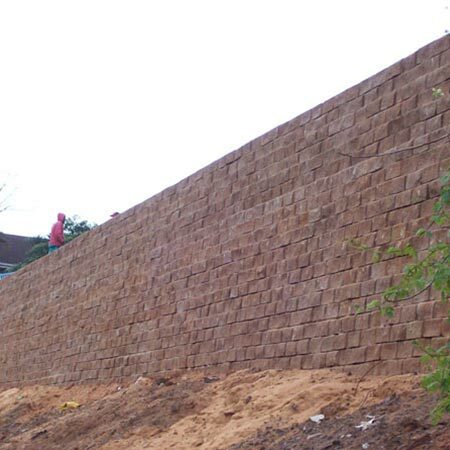 Optional vertical interlock allowing for seamless variations of wall inclination (90-35 degrees). Convex and concave corners and curves of unrestricted radius allow complex designs to suit site conditions. Choose between round face, (plant supportive) or flush face to suit your requirements. Units are light in weight for easy delivery, handling and installation, yet heavy when filled with soil, gravel, or concrete. 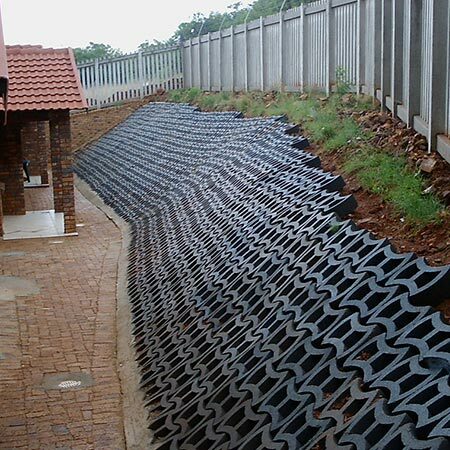 Cuts evaporation, improves drainage, allows for effective backfill compaction. 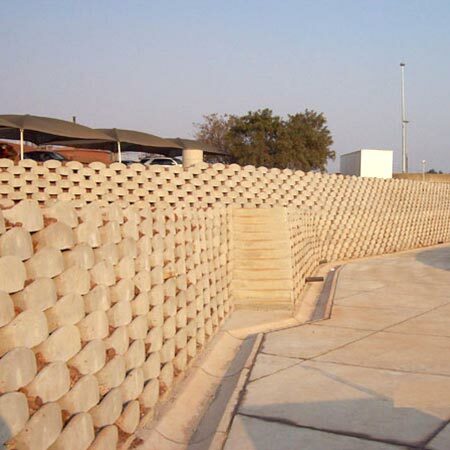 Pre-cast concrete modular block facing, securely reinforces soil mass behind and creates a strong and durable minimal maintenance retaining wall possessing a design life of up to 120 years. 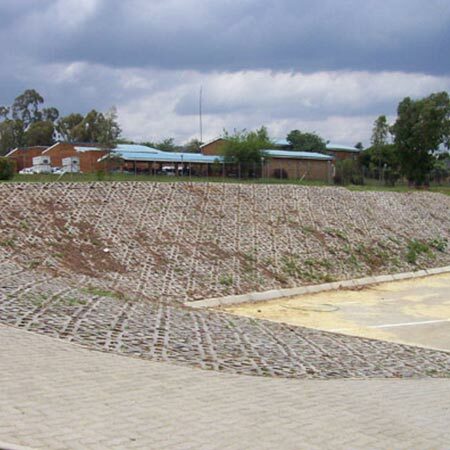 This versatile eco-surface hard lawn paving block can be laid in different patterns and may be used with or without ground anchors for the lining of riverbanks and other areas subjects to soil erosion. 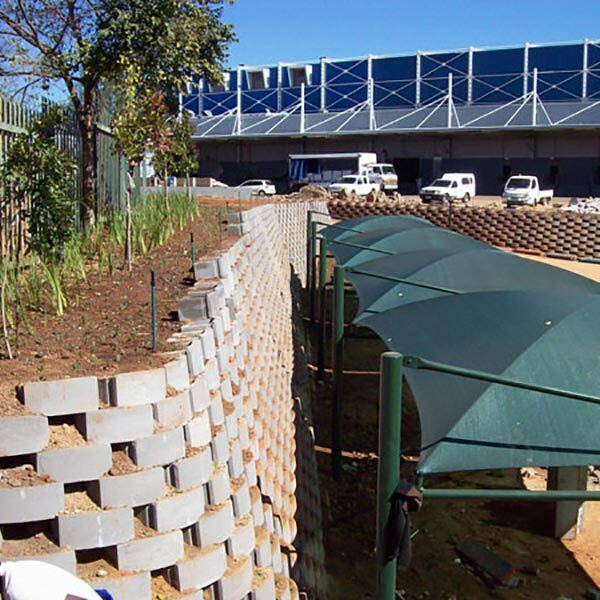 Terrafix blocks are designed to provide a flexible lining where cost effective protection against wind and water erosion is required. 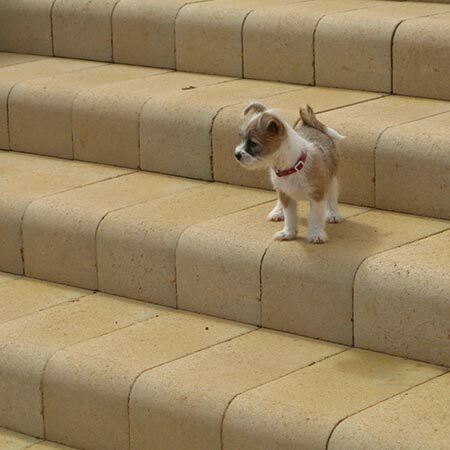 Available in two different thicknesses and can be laid in a variety of configurations to suit most site conditions. 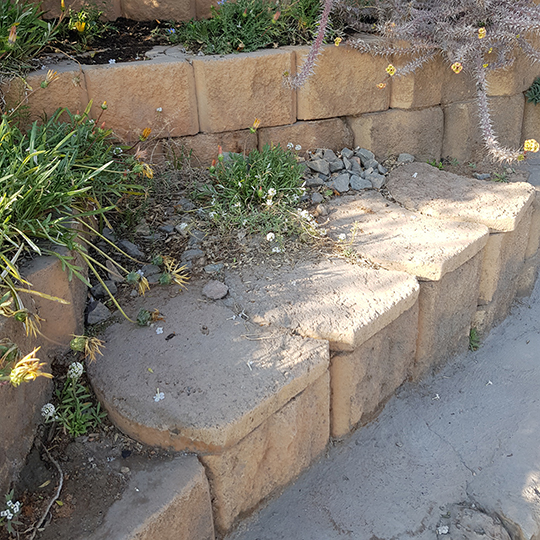 The 4×4 steps and seating block is a step block that can be used for all formats of seating arrangements, but also provides stairway access in combination with Terraforce retaining walls. 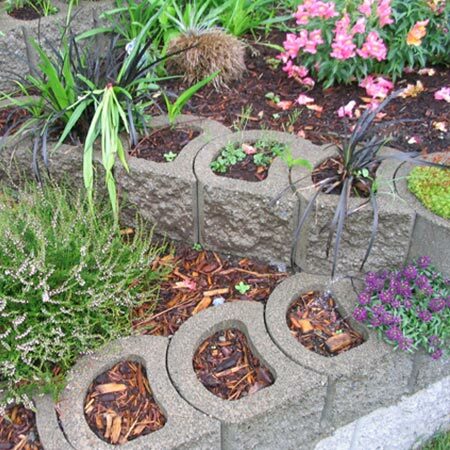 The unique design allows you to stack them up without mortar to provide a cost effective, do-it-yourself system. he “Type 1 A” trapezoidal channel complemented by the “Type 1 A Template”, is a general purpose channel for low water volume flow control. 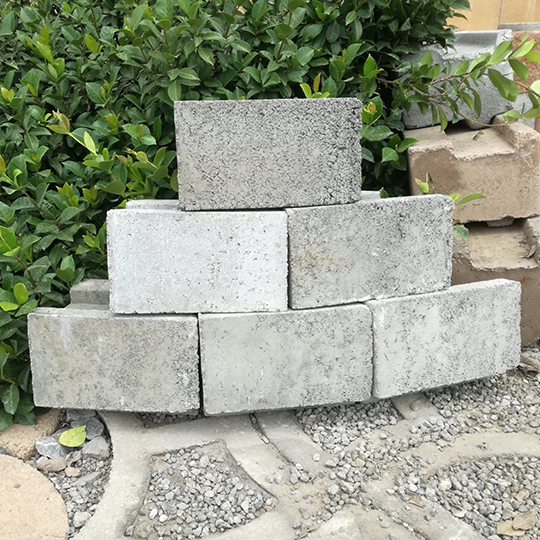 The Terraforce L11 Concrete Block Caps are ideal for various applications that require the top of the blocks to be sealed off. 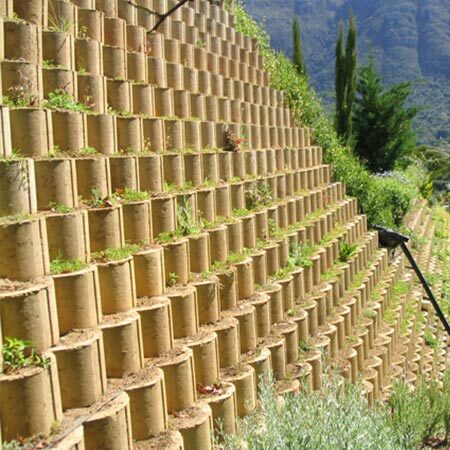 The Terraforce L18 Concrete Block Caps can be used in a variety of applications especially when requiring to seal off the top of a wall or to create steps using the Terraforce L18 Concrete Retaining Blocks. 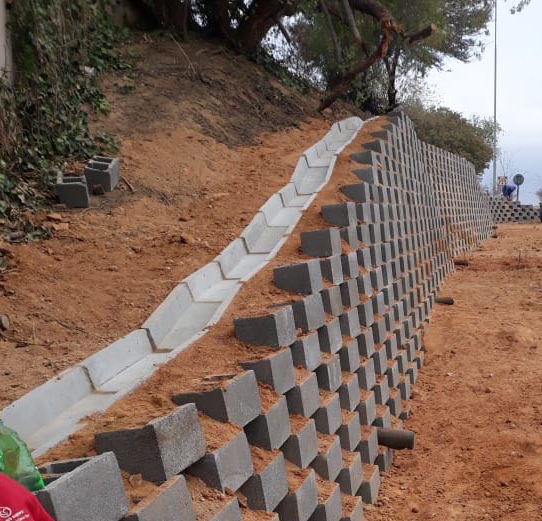 The new RW1 Concrete Block retaining wall system is part of the promising revolutionary construction method in large civil projects.